Piccolinis are tasty small pizza snacks for the whole family. 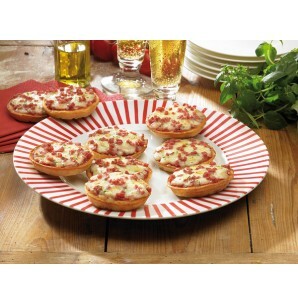 Piccolinis Salami come with hearty and fine Edamer cheese, salami and sun-ripened tomatoes. Simply bake in your oven at 200 degrees celsius for about 8-10 minutes. Enjoy.